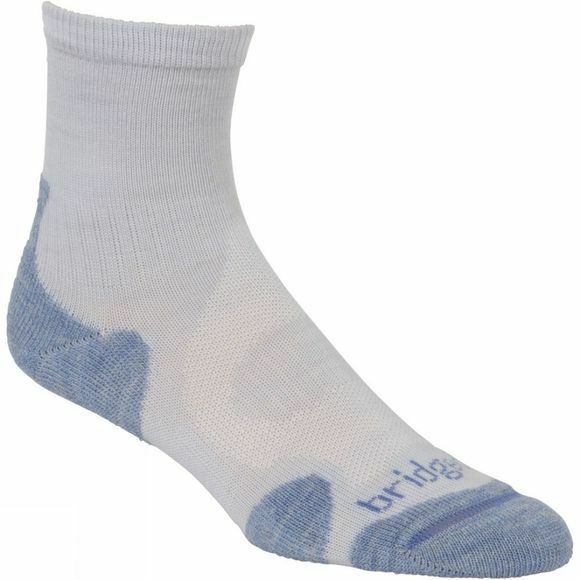 Socks are just important as walking boots and thanks to Bridgedale Women's Merino Light Hiker Sock, you get the benefits of Merino wool for comfort, moisture and heat regulation. Lycra built into the sock, helps to provide you with that snug fit, whilst the wicking properties help to keep your feet dry and at the optimum temperature. Blisters and uncomfortable rubbing spots are elimated thanks to the cushioned sole that helps to keep your foot, securely in place.